If you are looking for an appropriate way to respond to a person struggling with a mental illness, look to Job’s friends. Not when they made the mistake of opening their mouths to try to explain his suffering, but when they first arrived and simply sat with him in silence. – from Delight in Disorder: Ministry, Madness, Mission (The story of one pastor’s battle with bipolar disorder) by Tony Roberts (A Way with Words Publishing, 2014), page 33. In Canada, 20% of the population will personally experience a mental illness at some point in their lives, 8% will experience major depression, 1% bipolar disorder. Alzheimer’s Disease affects 15% of people over the age of 65. For deaths among 15-24-year-olds, death by suicide accounts for 24%; for deaths of 25-44-year-olds, death by suicide is 16%. (Statistics from Canadian Mental Health Association and Alzheimer Society Canada). 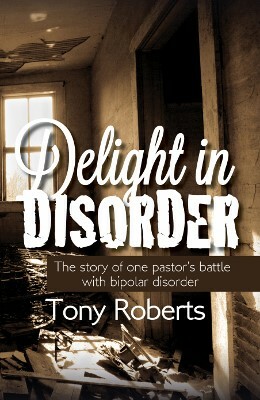 I’ve gotten to know author Tony Roberts through his blog, have happily hosted him on mine, and for the last week I’ve been delighting in his Delight in Disorder. Like Amy, I find it to be a book of hope–one that’s firmly rooted in God’s compassion and faithful presence whatever the storms of life and mental illness may bring. I was full of myself, but little else. When growth was slow, I fell down in despair. And looked to a new drug to pick me up. It picked me up and kept me up for six solid days and nights. Street signs became messages from God. And laughing when I was alone. 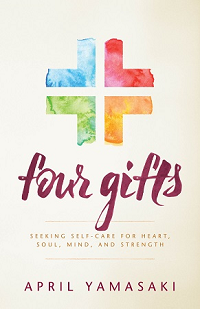 The rest of the book is a collection of short pieces, just a page or two each, as Tony continues to reflect on his own personal experience, offers sound pastoral perspective, and considers Scripture, movies, and books related to mental illness. Some of these short pieces are immensely practical, like “Rest for Your Weary Soul” and “Ten Things to Look for in a Psychiatrist.” Others are more inspirational, like “Trust in God,” “Majesty vs. Mania,” and “From the Depths of the Earth.” Tony ponders Vincent Van Gogh, Sylvia Plath, and others who have experienced mental illness. 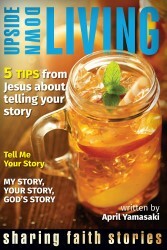 He comments on mental illness and pastoral ministry, bipolar disorder and homelessness, and other specific issues. I appreciate these bite-sized pieces, and the larger Delight in Disorder mission to share hope with people who experience mental illness and foster compassion within faith communities. For more information, visit Tony’s website. Could try to kill himself. God hasn’t given up on me. Grateful for the shade God provides. Previous postGuess Who’s Coming to Sunday Lunch? Thanks, April. We have ordered a copy of Tony’s book for the Resource Centre. 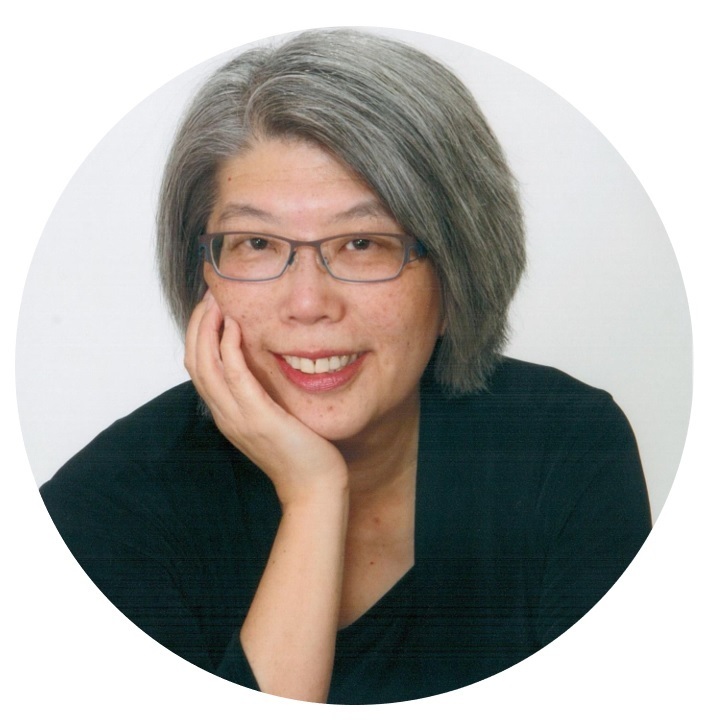 Hi Arlyn – I’m glad to know it will be available at the Resource Centre as a help to others. Thanks! 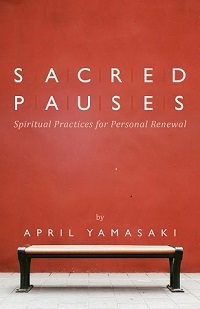 Thank you so much for reading and reviewing my book, Pastor Yamasaki. I’m delighted you found it helpful. You’re welcome, Tony. I’m grateful for your journey of healing and the way you share it in your book. I pray that it will offer hope to others who may be dealing with mental health issues and encourage greater understanding and compassion. Such a great touching post! Thank you!